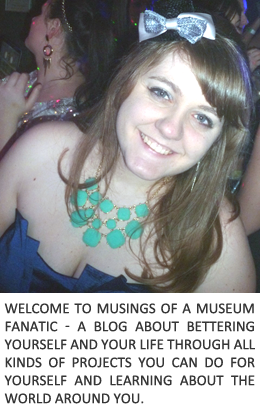 Instead I wanted to write about an important event (at least in my opinion!) 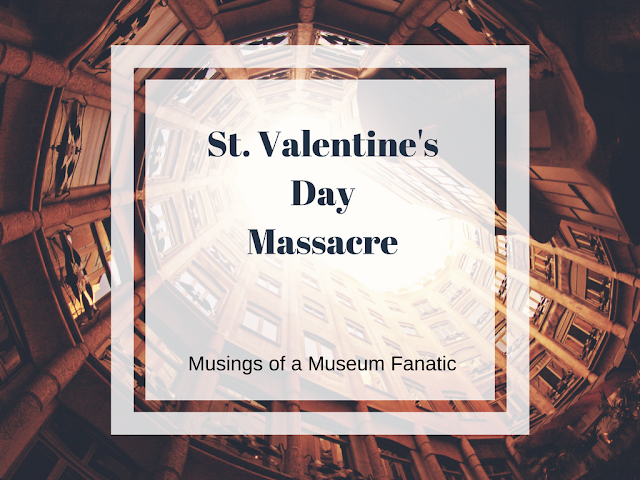 in Chicago history ... the St. Valentine's Day Massacre. To start off you need to go a little further back than February 14, 1929. In the early 1920's Al Capone moved to the Park Manor neighborhood. He was actually transferred there from his New York gang, the Five Points Gang, his mentor had gone to Chicago to solve some family issues aka knock off another gang that was giving his cousin's hubby problems. After taking down Big Jim Colosimo's gang and acquiring their territory Capone's next big step was to rig the 1924 Cicero elections. I'm sure they employed the long held Chicago tradition of voting early and often but it also seems they were not very discreet with thugs threatening voters at the polling stations. After this Capone's power just grew in the Windy city. Running casinos, prostitution rings and of course getting the big bucks from smuggling and selling liquor. Let's skip ahead a bit, you don't miss too much, Capone roughs up Bugs Moran (North Side Gang) then in return Moran uses Tommy guns to try and take down Capone in broad daylight having lunch outside, then there was more back and forth. It's was all very cliche gangster but I guess the cliche has to come from somewhere right? Also gotta love this take on the North side South side rivalry ha! So now we're all caught up, it's Valentine's Day 10:30am and we're at a garage at 2122 North Clark Street in Lincoln Park. Seven men all together, five from the North Side Gang and two collaborators, were lined up along the wall of the garage and brutally gunned down. Supposedly the plan was to take down Moran and just a couple of the higher ups not really eliminate his whole gang or anything. Luckily for Moran he ended up leaving his apartment late, it was only about a block away so maybe he was just strolling along taking his sweet time getting to the meeting. Also lucky for Moran that they came up the back way and saw the "police car". Smart man that he seems to be went and hid at the nearby coffee house to see what the heck was going on. Well those supposed policemen were actually part of the group of shooters. So we've got the two in police uniforms then two more in suits and overcoats, they took their Tommy guns and just mowed the seven guys down it was really overkill. Then wouldn't you know it the policemen brought out the perpetrators with their hands in the air, pretty smart huh? Now this whole thing was never actually tied to Capone or his gang, the only survivor kept saying until he died three hours later that he was never shot contrary to the 14 bullet wounds. Since then the garage has become a parking lot for the nursing home next door and the actual wall has had an interesting history since. 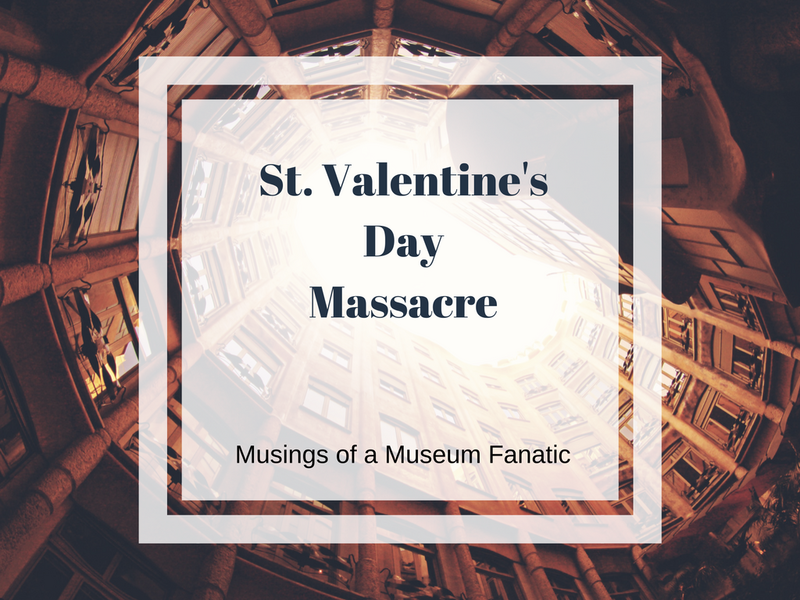 Many movies, songs, books, you name it, have had the St. Valentine's day massacre as a plot point. One of my all time favorite movies, Some Like It Hot, that is actually the catalyst for the entire movie. If you haven't seen it you really should it's a fun movie (besides the obvious scene in the beginning!) I mean come on what could be better than Marilyn Monroe with Jack Lemmon & Tony Curtis in drag? This was so interesting!! Happy Valentine's Day! You were right, I DID love this post!